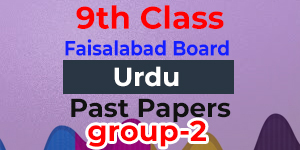 BISE Faisalabad was established in 1988. 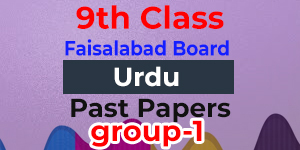 It is now being governed by the Punjab BISE Act, 1976. Including the chairman, 15 members are there on the Board of Governors including the Chairman. Among the members, a few members are ex-officer while others are nominated according to provisions of the Act. As BISE is an autonomous body having powers to make rules, so, it does not receive any grant-in-aid etc. from the government or other semi-government agency. It has to generate its funds through examinations and the levy of other fees. Its appointments are made by the controlling authority, i.e., Punjab Government, the Chairman and the Secretary. For a period of three years, the Chairman, Secretary Controller of Examinations, Audit Officer and DPE are appointed by the Controlling Authority on deputation. Other appointments of officers and staff in BS-16 and above are directly appointed by the Governors. Moreover, in BS-5 to BS-15, the appointments are made by the Chairman and in BS-1 to BS-4 by the Secretary. 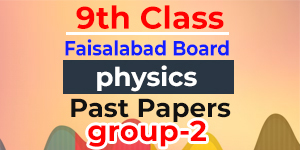 As 9th class past papers are meant to assist the students in their studies in order to make them prepare for the final examinations, so, we made it our prime focus to provide past papers of Faisalabad board.